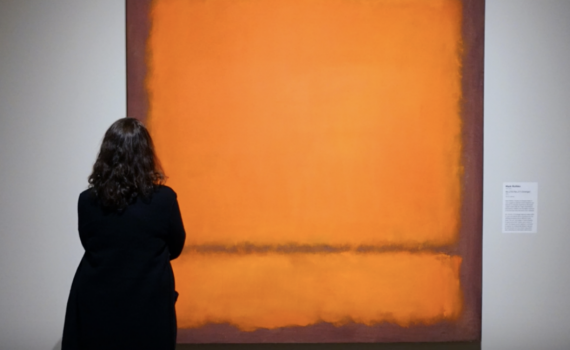 Spirituality and transcendence were important postwar themes expressed in Rothko's work. This snowy image of a bygone Brooklyn is sprinkled with farm animals, townspeople... and casual racism. 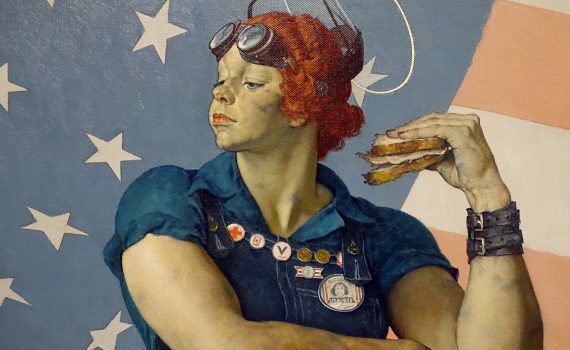 Representing women who entered the workforce during WWII, Rosie is strong, determined, and eating a ham sandwich.